The Pacing of the story was fairly typical for a children's book. Being as I'm not exactly sure how a children's book should be paced, I'm going to skip rating this portion. This is easily my favorite children's book that I have read in 2012, and I think it will be a fantastic book for all children - especially little girls. I think it has just enough information to make children more aware of hearing loss in other individuals their own age, but not so much that it bores or scares them. 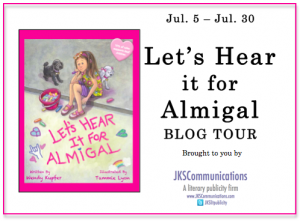 Let's Hear It For Almigal will be a great addition to any library, be it public, classroom, or home. *I substituted Illustrations for World-Building because it was such an integral part of this book. If I begin to review more picture books, I will come up with a more efficient set of review points. 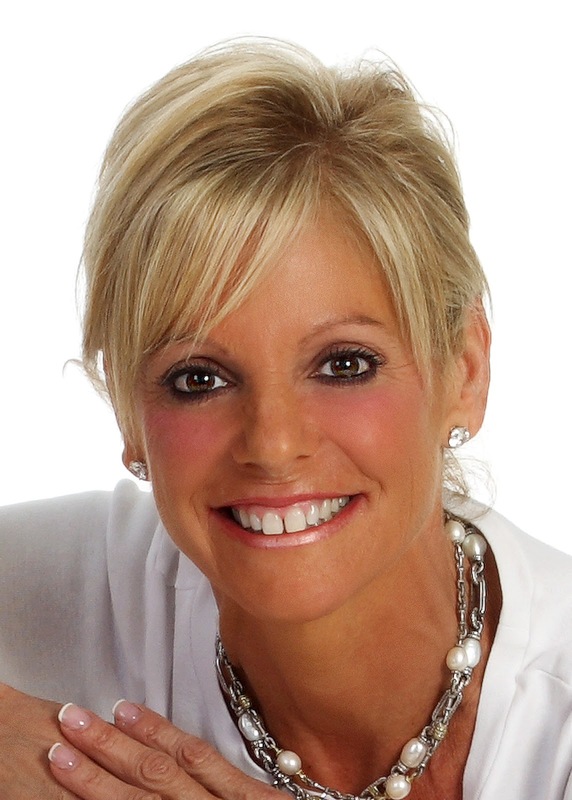 Wendy Kupfer knows Almigal’s story well. Doctors diagnosed her daughter Ali at the age of 10 months with a profound hearing loss and predicted she would never speak, but the doctors underestimated this unbeatable mother-daughter team. Wendy ’s dedication and drive, paired with Ali’s hard work and determination, produced one spunky, confident “chatterbox” and two passionate advocates for the deaf and hard of hearing. You can keep up with Wendy and Almigal on their Website, Twitter, Facebook, and Goodreads. 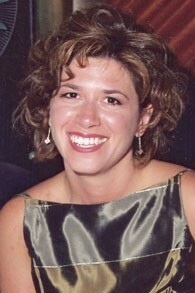 Tammie Lyon is the award winning illustrator of numerous picture books for children. She is known for her work on the Eloise series for Simon and Schuster as well as her new series, Katie Woo, published by Stonearch Books. Two of her more recent titles, My Pup and Bugs in My Hair? !, were listed in the "Top 100 Best Children's Books" by the Bank Street College of Education. She lives in Cincinnati, Ohio where she loves to spend the days in her studio with her dogs Gus and Dudly. Tammie's first written and illustrated title, Olive and Snowflake, has been released by Marshall Cavendish. To satisfy FTC guidelines, I am disclosing that I received the book for free through JKS Communications in exchange for an honest review. It has in no way affected the outcome. All opinions expressed are mine and mine alone. I received a review e-copy from NetGalley. A great book! I agree with your ratings and will definitely add it to my library. My only concern, as I stated in my post is the response from the Deaf. This book seems more focused on "fixing" deafness with cochlear implants. For Wendy Kupfer and her daughter, they had the right circumstances for success with getting cochlear implants. And the book was perfect to represent this. Very cute story with illustrations and I love the ending. But with most of the children I teach, they hate having to wear their hearing aids or implants. It's important that parents of deaf children don't assume getting cochlear implants is the automatic right choice. I'd love to see a children's book focused more on accepting deafness without "trying to fix them" and enjoying the beautiful Deaf culture and language accessible to them. That's a book I'd love to have my students read. 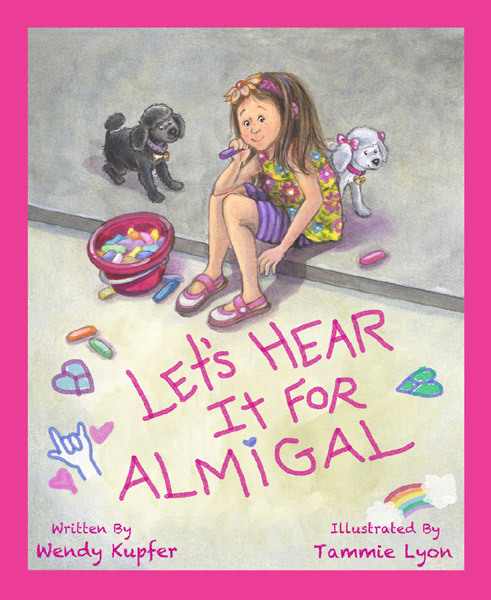 But for the hearing students, this is a great book to teach them to accept my kids who wear hearing aids and cochlear implants at school and on the playground.